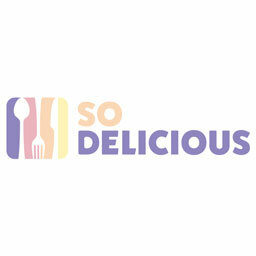 If you’re coming to a foodie hotbed such as Orange County, you’d expect the restaurant scene everywhere to be poppin’. That’s exactly the case in Anaheim, where even arenas like the Honda Center have become culinary destinations. You’ll find the vendors inside of the stadium to be just as fresh as the dining scene in the immediate area. 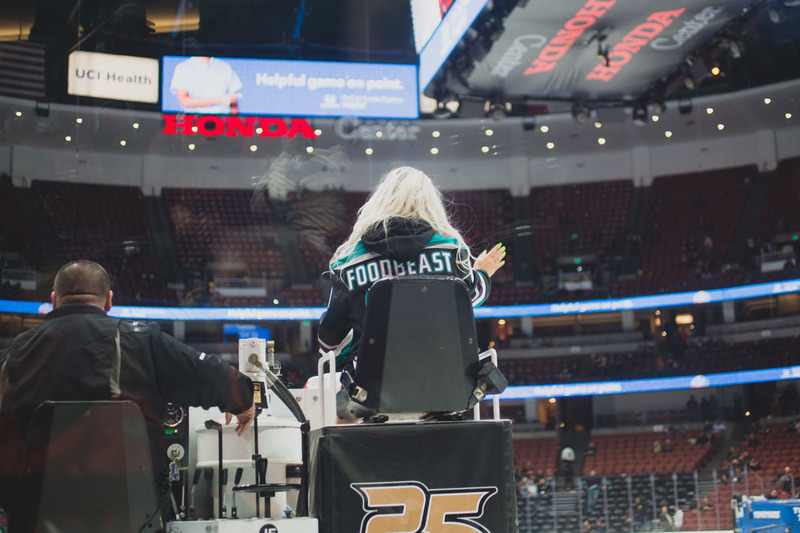 Foodbeast Christina Kim (@vivalastina) discovered this while attending her first-ever Anaheim Ducks game on Foodbeast’s new show Between 2 Meals. She found a couple of dope spots to fuel up for both before and during the contest. 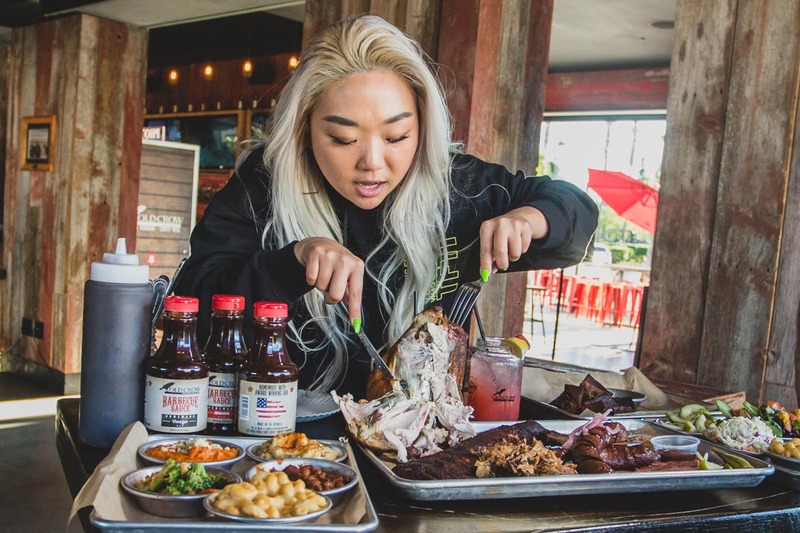 One of the go-to spots Kim visited within the Stadium Promenade was Old Crow Smokehouse, a Chicago transplant that’s been recognized as some of the best barbecue within Orange County. They show that off in a full spread of meats that includes beer can chickens, burnt ends, ribs, and tri-tip. You can order all of these at once via the Combo Platter, which feeds 4-6 and also includes your choice of sides like mac & cheese and cornbread. During the game, an interesting vendor to hit up within the Honda Center is the Sierra Nevada Taproom. Kim went for the loaded fries, which come topped with items like bacon, fried chicken, and pastrami and are drenched in gravy or beer cheese sauce. It’s an elevation of stadium staples that’ll keep you fueled through overtime. 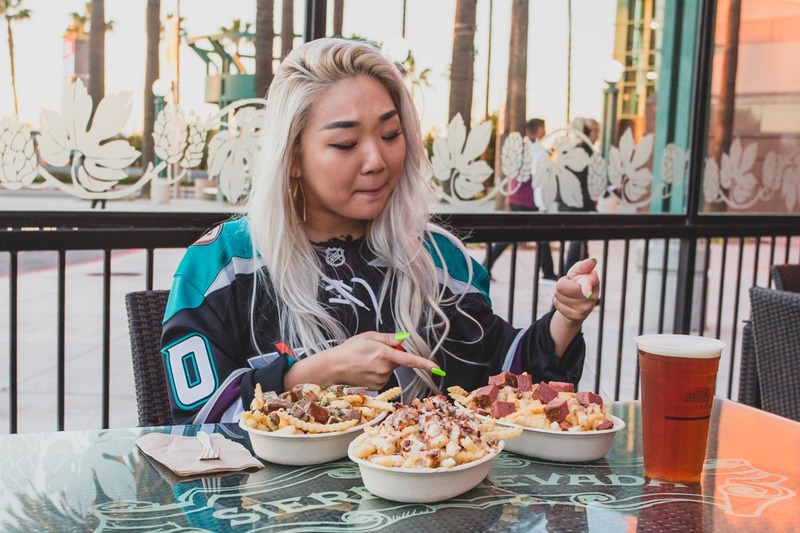 Kim only visited a couple of spots within the vicinity of Anaheim’s Honda Center, but that small sample is proof of how much of a gourmet destination this stadium can be.